This rose can last forever without any sunlight or water. Attention, ‘Beauty and the Beast’ fans! 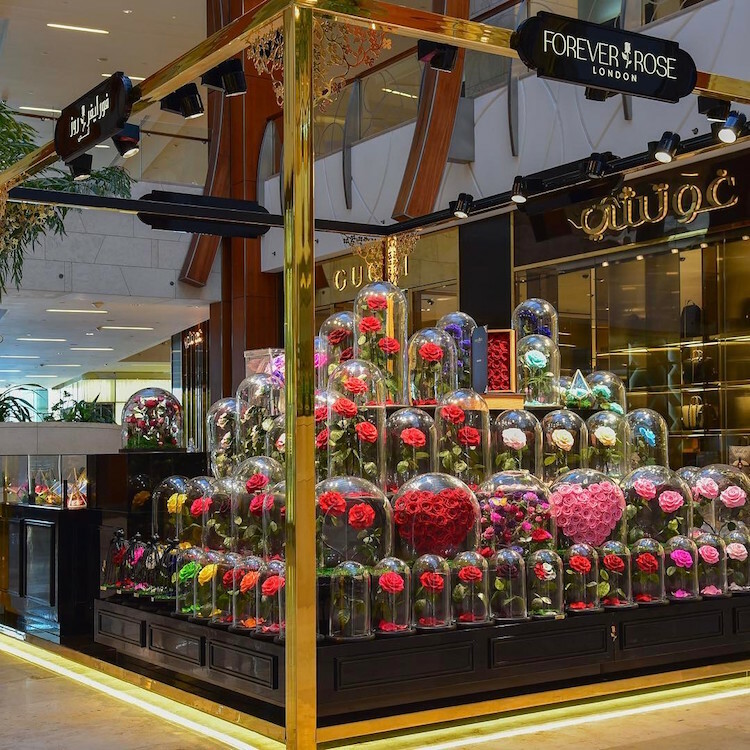 Whether you’re a lifelong admirer of the animated feature or counting down the days until the new, live-action film makes its grand debut, luxury flower company Forever Rose London is sure to charm you with its real enchanted rose. Unlike most floral arrangements that wither within a week or 2, the Forever Rose will remain beautiful, forever. Like the magical flower from the movie, Forever Rose London’s spellbinding creations defy logic. Each rose stands upright in a glass dome. If left encased in the bell-glass, the rose can last forever without sunlight or even water. If removed from the protective cloche, it will still retain its recently-plucked appearance and remain wilt-free for up to 3 years. So, how does it work? According to Ebraheem Al Samadi, the brand ambassador for Forever Rose London, a “secret potion” is responsible for the roses’ immortality. Though he wouldn’t divulge any further, the magical elixir is most likely a mixture of glycerin and other oils. This recipe effectively preserves the flowers and helps them stay fresh. In addition to this conserving concoction, the flowers’ durable, thick petals also contribute to their longevity. And, of course, being shrouded in a protective covering helps, too! In addition to classic red roses that most closely resemble Beauty and the Beast‘s iconic bloom, Forever Rose London offers flowers in a wide variety of colors and arrangements. Of course, they don’t come cheap. Prices range from $200 to $4,000 (though Etsy has some more affordable alternatives). You can see the full selection of enchanted roses on the Forever Rose London website. See some gorgeous examples of the real enchanted rose below. All images via Forever Rose London.